It would be interesting to know what the impact on the UK nuclear industry might be if the UK were to withdraw from Euratom. It would give us more freedoms to run the industry as we see fit but that may not be such a great idea and it might reduce public and world confidence in us. There are, of course, many other international nuclear organisations such as IAEA and WANO that we can use for guidance and bench marking. With the Radiation (Emergency Preparedness and Public Information) Regulations 2001 due to be reissued in line with the 2013 EU BSS (See HSE note), interest turns to the discussion about how to determine the appropriate level of emergency preparedness for nuclear sites. Currently REPPIR requires that the risks posed by the site are assessed, reported and periodically reviewed. If there are identified potential fault sequences that exceed thresholds of both probability and severity then off-site plans are required. The threshold for probability is “reasonably foreseeable”. In the REPPIR guidance (para 50) it is stated that “In the context of a radiation emergency, a reasonably foreseeable event would be one which was less than likely but realistically possible”. ONR have avoided accepting a numerical value for the threshold of reasonably foreseeable (see, for example, para A20 -A22 in an ONR TAG). ONR’s description of safety cases tells us that (Para 607) Design basis analysis (DBA) leads to an understanding of the plant and a design proven “so that safety functions can be delivered reliably during all modes of operation and under reasonably foreseeable faults”. Combining this with (Para A.9) “only faults with an initiating fault frequency (IFF) greater than 1 x 10-5/yr need to be considered for DBA” suggests that a frequency of 1 x 10-5/yr could be proposed as the limit of a “reasonably foreseeable” initiator. 1 x 10-5 per year is also implied in the ONR Tolerability of Risk Document ToR and in the national risk assessment policy sponsored by the Cabinet Office as a boundary between events that should be prepared for and those that are too unlikely for detailed planning. The threshold for severity used in REPPIR 2001 is that of a Radiation Emergency. This is defined as a situation in which a member of the public could receive an additional radiation dose of 5 mSv in the year following initiation. There have been difficulties interpreting this requirement as the public dose assessment depends on the individual habits assumed. There is a general principle in radiological protection and emergency planning that any action taken by authorities should to do more good than harm. In the UK we use the Emergency Reference levels (ERLs) to decide if a countermeasure is warranted by comparing the avertable dose with the relevant ERL. We can therefore state that the imposition of a countermeasure is not necessary, indeed not appropriate, where the avertable dose is below the ERL and a detailed plan to implement a countermeasure is therefore not needed where it is not reasonably foreseeable that the threshold will be exceeded. Thus the severity threshold for requiring a plan can be based on whether or not the existence of a plan would enable the imposition of prompt countermeasures which could avert an ERL’s worth of dose that could not otherwise be averted. Concern about faults too unlikely to appear in the DBA but more severe than the reference accidents leads to the demand for the ability to extend countermeasures beyond the detailed plan if required. However, it is realised that spend to enable this quickly becomes grossly disproportionate to the potential gain. While the situation analysis and decision making process provided by the detailed plan can consider a wider area or longer duration fault, the question is whether or not countermeasures can be applied rapidly enough over a wider area to be effective. This would depend on the nature of the fault including the amount of activity released and the time structure of that release. Again the question of the probability of the limiting fault to use in extendibility scenarios arises. In various safety methodology documents IAEA talks about a “screening probability level” (SPL) of probability below which there is no point analysing faults. So far as I can find IAEA fails to suggest a value. There is a claim in the literature that the US DOE suggest 1 x 10-6 for aircraft crash onto nuclear facilities. It is suggested that future UK guidance on emergency planning recommends a SPL for emergency planning (extendibility) and that this value should not be lower than 1 x 10-6 or, at a pinch, 1 x 10-7. Emergency planning then becomes a question of having detailed plans to implement those countermeasures that might avert more than an ERL of individual dose for the set of reasonably foreseeable faults – defined as being more frequent than 1 x 10-5 per reactor year (making allowances for reasonable cliff-edges) and outline plans for faults down to maybe 1 x 10-7 per reactor year. Estimations of avertable dose against downwind distance can determine a sensible limit to the countermeasure zone (which regulators may then choose to inflate within reason for non-technical purposes). The ONR has recently agreed to a major revision of the Magnox Limit’s emergency plans. In a Project Assessment Report available on the internet they approve the removal of the Central Emergency Support Centre (CESC) from the Magnox emergency plans. The CESC is a large control room in EDF’s headquarters in Barnwood. It provides for the off-site support for a nuclear power station in an emergency situation. Command, technical, health physics and support teams are available at short notice during working hours and within an hour or so out of hours. The technical team helps to understand the situation on the site and provide advice on how to rectify the situation and on the release prognosis. The health physics team takes over the off-site survey and combines the knowledge gained about off-site doses with the predictions of the changing situation from the technical team to provide estimates of the public avertable dose to support the countermeasure decision process in the Strategic Coordination Centre. With no operating reactors and most of the fleet defueled the changes of Magnox using this facility is greatly reduced. They have developed a new simplified system that is more in line with the evolving Company risk profile and tested it to the satisfaction of the ONR. EDF-Energy, with their fleet of operating reactors will continue to use the CESC. Removal of the CESC from the Magnox plans is an important step and was a complex process. Magnox and the ONR should be congratulated on the success of this project. I attended the SRP one day meeting on the Implementation of BSS: Ionising Regulations (IRR) and Other Regulations held on 19/1/17 in London. The aim of the Basic Safety Standard Directive in question (Directive 96/29/Euratom – ionizing radiation) is to establish uniform basic safety standards to protect the health of workers and the general public against the dangers of ionising radiation…”. It was explained that the 2013 Basic Safety Standard has to be implemented in UK law by February 2018 but there were issues relating to registration and dose records that made 1/1/18 a more practical starting date for some clauses of the regulations. Before then there would be a consultation period (which should have started by now), a review of the draft based on the consultation, a final consultation with lawyers and then the draft would be put to the Ministers. The impression was given that the Ministers have a greater ability to change the draft than the consultees. The regulations should be submitted to the EU in autumn and become law in early 2018. It was not explained why so much activity is compressed into the last year of the implementation period given that the BSS was published in 2013 and had been widely consulted on before that. The graded approach to regulation to be used in IRR17 was described. This balances the requirements of the BSS against the desire for minimal change to UK law and as light a touch as is appropriate. The system of Notification, Registration and Licensing of practices of increasing potential harm will require the user to enter the details of their practices into a web-site database and answer a series of questions to confirm that they have met the requirements of the regulations in terms of risk assessment, contingency planning, training and consultation of an RPA. This system seems very sensible although a number of questions were asked about the number of entries that users of multiple systems and multiple different practices would have to make – one per practice apparently. The section on REPPIR was very disappointing. It seems possible that the drafting of these regulations and associated guidance are further behind schedule than the IRRs. There was either a reluctance or inability to answer fairly predictable questions from the audience which does not bode well. There are a number of contentious issues with regard to emergency planning regulation in the UK and very little time to adequately consult and get this regulation right. It is important to decommissioning sites, generating sites and new build operators and to the local authorities in whose patches the nuclear sites are found. 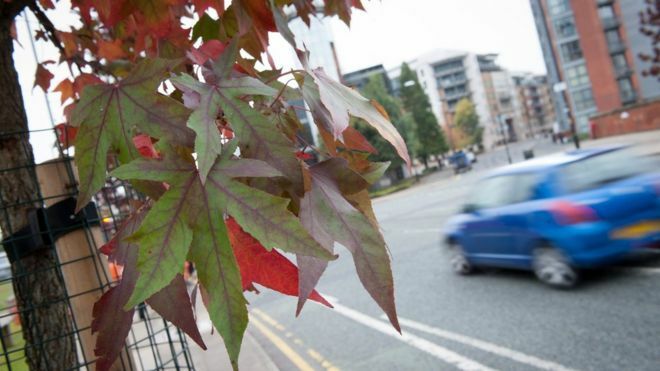 There is an interesting article on the BBC web-site about a project to add a lot more trees to Manchester (here). A quick internet search reveals the project’s informative web-site Manchester City of Trees Project. It is stated in the BBC article that the project has three objectives which are to plant more trees, to manage the existing trees better and to engage people in understanding the natural environment. But more interesting than these objects are the research objectives which include understanding the role of trees in the improvement of the urban environment. Their website claims that tree planting has many benefits including “creating healthier, happier communities to helping tackle climate change, reconnecting our children to the natural world, and providing essential habitats for wildlife” (ref). An interesting project with a history going back to 1991 revealing another way to engage people in their environment and community and to work towards a better city. My book “How to survive a nuclear emergency” is now available in paperback and on kindle. This book adds more detail and discussion to the advice given out by operators and local authorities around REPPIR sites (nuclear sites where exposure of the public due to an accident is reasonably foreseeable) in the UK. Read a sample by clicking this link. An agreement between the Government of the United Kingdom of Great Britain and Northern Ireland and the Government of India for Co-operation in the Peaceful Uses of Nuclear Energy has recently been posted on the internet (here). It would be interesting to know what this treaty changes. My first book “How to survive a nuclear emergency in the UK” is now available on Amazon Kindle. This book is based on my experience of working with local authorities discussing how best to provide prior information to the public who live or work close to a nuclear power station. It collects good practice with regard to prior information to the public and provides more information that is possible with the leaflet format that is generally used. I hope that it will be interesting and thought provoking. Link to Amazon Kindle UK page here. The book is also available on many other Amazon national sites. The Association of the Heads of the European Radiological protection Competent Authorities (HERCA) and Western European Nuclear Regulators’ Association (WENRA) have jointly considered cross border cooperation in the early stages of a nuclear accident. They propose a mechanism based on shared technical understanding, coordination and mutual trust. A workshop is reported (here) which was attended by representatives from ONR and PHE CRCE. It is not known to what extent the UK participants agreed with the published conclusions of the workshop. The aim of the project is to ensure that when an accident affects neighbouring countries the countermeasures recommended in each country are comparable as described in the figure above (taken from HERCA WENRA document). It was reported that some countries have clear guidance on how to set countermeasures that might make this harmonisation more difficult. The report suggests that (Conservative) evaluation of the potential hazard area favours a common understanding and coherent communication internationally and helps to give early assurance to populations outside this area. It does not seem to have considered that an excessively large countermeasure zone would hamper the ability to focus resources on those in most need of support and may unduly inconvenience and worry people within the zones but relatively safe from the radiation hazard. This seems to go against the ICRP principle of justification that “any decision that alters the radiation exposure situation should do more good than harm” (ICRP 103, page 88). nuclear and radiation safety authorities in Europe should continue attempts to promote compatible response arrangements and protection strategies amongst the European countries”. It later explains that the 5 km evacuation and 20 km sheltering and taking of stable iodine prophylaxis is a precautionary approach for situations where core melt is judged possible. It also states (Section 8.2) that shelter is preferred to evacuation if the evacuation cannot be completed before the release starts. The wider zones are stated to be appropriate where, in addition to core melt, the containment integrity is lost. Since sheltering cannot be implemented for a very long duration, the report proposes that it should be prepared immediately but only implemented a few hours before the time of release. The report does not develop the discussion of the implications of a warning time. It would give an opportunity for people to collect stable iodine tablets from a local distribution point and to prepare for shelter but would also possibly trigger an uncontrolled evacuation and panic buying of food and bottled water. Great care should be taken when considering recommending shelter “once the release starts”. The harmonisation of countermeasure advice across national borders in the event of a transnational release of radioactivity is clearly desirable. This can best be achieved with shared technical understanding, coordination and mutual trust but also requires the same decision making process when facing with an uncertain radiological situation and limited time to make and implement decisions. The approach of pre-agreeing on the largest area based on generic conservative decision making runs the risk of applying disproportionate countermeasures on the day and saddling society with disproportionate emergency preparation costs. A link to the site’s safety case seems much more appropriate. It is not clear where this grouping’s remit for advising countermeasure distances comes from, the basis for their distances is unexplained as is how they relate to EURATOM and IAEA. So while their thoughts on cross-border cooperation and information exchange are valued, their thoughts on countermeasure distances do not seem to add value to the discussion. The Well-being of Future Generations (Wales) Act 2015 is a very interesting bit of legislation. It requires the impact of a wide range of decisions on the wellbeing of future generations to be assessed and to be taken into account in the decision making process. Of course this should not be required in an ideal world but what a great idea to manage the real world! The Act will make the public bodies listed in the Act think more about the long term, work better with people and communities and each other, look to prevent problems and take a more joined-up approach. This new law will mean that, for the first time, public bodies listed in the Act must do what they do in a sustainable way. Public bodies need to make sure that when making their decisions they take into account the impact they could have on people living their lives in Wales in the future. Nanny state or one to follow? Certainly one to watch with interest.